This month’s letter comes from Rev’d Anne Futcher. We’re now well into the season of nativity plays. And every time I watch one, I’m taken back to my son’s first ever public performance. His playgroup was staging a nativity tableau. James was desperate to be the drummer boy. We awaited the casting decision anxiously. The news wasn’t good. He’d been cast as Joseph. The day arrived. James came on stage looking solemn. Clearly he was taking his paternal responsibilities to heart. Mary looked depressed. The little boy playing the donkey was insistent in placing his orange felt carrot inside the crib. Maybe he meant it as his gift for the baby. But James was equally insistent in removing it. We watched, helpless with laughter and tears, as the carrot went in and out of the crib – over and over again. That nativity is a cherished part of our family story. Back in August, nearly thirty years later and newly married, James visited Rwanda with his wife, Katie. 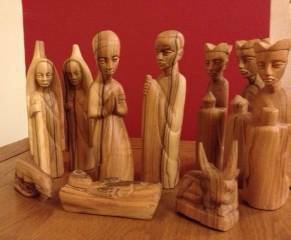 On their return, James and Katie presented us with a beautiful set of crib figures, made by a wood carver in Kigali. There are shepherds wearing traditional robes. There are the three kings each bearing a differently shaped casket. Mary in local headdress, smiles serenely. A bareheaded Joseph looks suitably solemn. And there is baby Jesus in his crib. He’s attended, not by an insistent donkey brandishing a felt carrot, but by a sheep and a long-horned cow. I learned that this long-horned cow, called an inyambo, is considered by Rwandans to be very special indeed. Under the traditional Rwandan monarchy, inyambo were bred specifically for ceremonial purposes and sent to the king’s palace. There they were trained to listen, and to move, to traditional songs. Bedecked with jewels, they’d then take part in elaborate parades to honour the king. By including the inyambo among his crib figures, the Rwandan woodcarver was welcoming and honouring baby Jesus in the best way he could. And by embellishing the Christmas story with local detail, he made it his own. Each time we retell the nativity we make it our own too. It’s no longer a story about an insignificant family in an insignificant village long ago. It becomes a story that transcends time and place: It’s James’ story. It’s his and Katie’s story. It’s the woodcarver’s story. It’s yours and it’s mine. And above all, it’s God’s story. It’s the story of the God who chooses to come to us, as vulnerable as a baby, across time and place. He comes to us in Palestine and Rwanda and England, in the first century and the twenty-first. Over and over again, God overflows into our lives and our stories with love. This Christmas, like that boy with his felt carrot; like the woodcarver with his inyambo, let us welcome him and honour him in the best way we can. 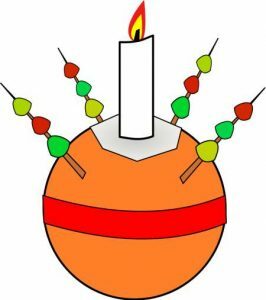 Southleigh – Saturday 16th December at 4.00pm, carols, Christingle and procession. Everyone of all ages is welcome to join us in this beautiful celebration of the light of Christ. Retiring collections for the Children’s Society. 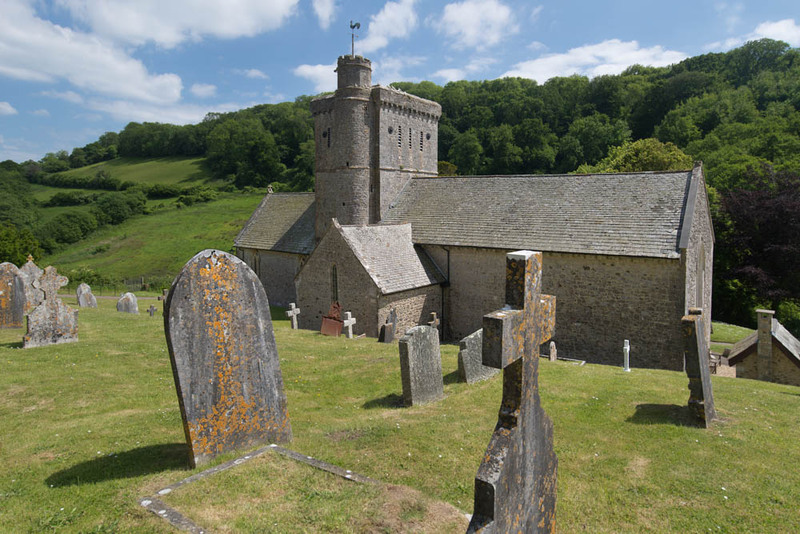 We mark the beginning of Advent in Branscombe this year on Advent Sunday, 3rd December at 6.00 with the Advent Carol service for the whole Mission Community – and all are welcome. St Winifred’s now has a larger churchyard thanks to the hard work of many people. The new piece of ground has been fenced and prepared, with the help and support of the Friends of St Winifred’s, and now it is ready to be consecrated. We are delighted to welcome the Bishop of Crediton, Rt. Revd Sarah Mullally, who will be visiting Branscombe to do this on Monday December 4th at 2pm. 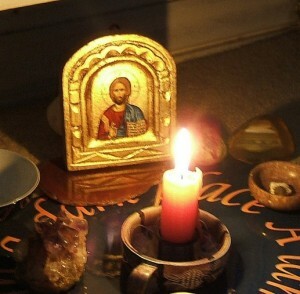 The consecration will take the form of a short act of worship outside in the churchyard. Everyone is welcome to come and mark this historic event. 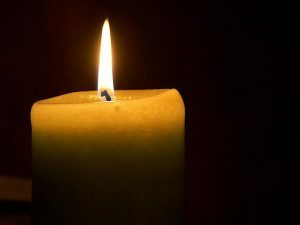 All are welcome to come and join Rev Shuna George and others in the Colyton Sunday School Building for an informal creative session exploring the advent theme of light with pictures, words and your imagination. All are welcome once again for this lively event!